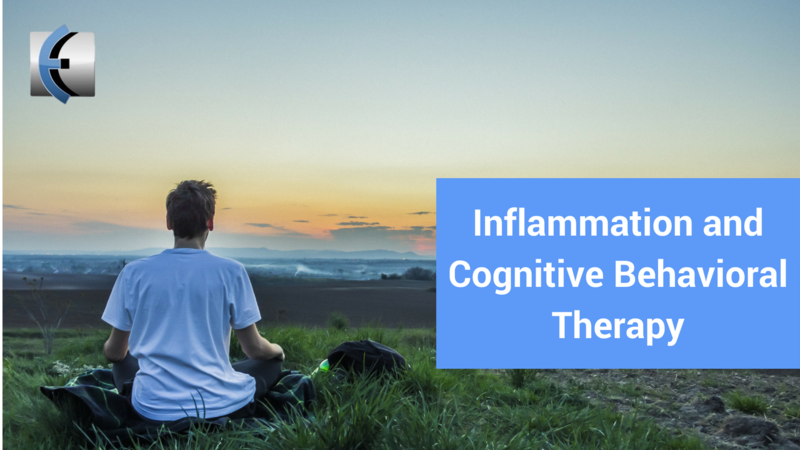 The authors propose that one potential factor that could modulate the effect of CBT for chronic pain is inflammation. Based on numerous previous studies, it is accepted that alterations in the inflammatory process and inflammatory mediators can be a contributor to pain. Inflammatory markers such as Il-6 and tumor necrosis factor (TNF) have been observed in pts with chronic pain. To the authors' knowledge, no study to date has investigated whether he inflammatory status before treatment modulates the effect of behavioral intervention. Medication, (p!, psychiatric, and anti-inflammatory drugs) and self-report psychological measurements (pain intensity, disability, psychological inflexibility, health-related quality of life, and mood state) were assessed in all pts. Behavioral treatment significantly reduced serum TNF-a concentrations but not IL-6 or IL-8 concentrations. The effect of behavioral treatment was not significant on any of the self-report variables although there was a tendency towards improvement in psychological inflexibility and physical health-related quality of life. In the group with lower pre-treatment inflammatory scores, behavioral treatment significantly reduced psychological inflexbility and improved mental health-related quality of life. The authors argue that this study suggests that pre-treatment inflammatory status modulates the effect of behavioral therapy on adults with chronic pain and provides a possible explanation of the heterogeneity in treatment response that is commonly seen in pts suffering from chronic pain. Inflammation may be one of the mechanisms that aids in the persistence of behavioral alterations in pts who do not respond to treatment. What do you think? Discuss here!